Share this product and receive a $1.93 sharing discount. The art of inscribed jewelry is thousands of years old. 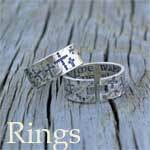 This cuff ring is marked not only by it's high quality design and finish, but uniquely by it's hidden message inside. 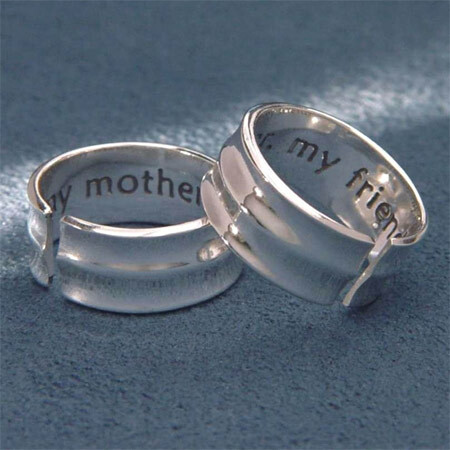 Simply inscribed with 'My Mother, My Friend' on the interior of a contemporary style broad ribbed band, it is a token of the special love, affection and friendship that exists between a mom and her children. Adjustable sterling silver cuff ring. Available in 3 sizes... 5-7, 7-8, 8-10.